Arrived on time. Professional and the repair is invisible. I was nervous given this was my pride and joy and a new RS5 but there was no need to be. Terrific job and experience. Pricing also extremely reasonable. Only one word....excellent . Prompt service on line, estimate received quickly after photo of damage submitted. Prompt arrival on day, clean, no fuss repair. Job well done, very professional. I contacted Chips Away on Monday, and i had a prompt response within the hour. My car was viewed the same day, and a date was made for two days time. George and Terry arrived promptly, and completed the job in a very professional manner. I would highly recommend them. This is the second time I have asked Godfrey to repair a bump/scrape. His work is excellent. He is a charming person and a delight to have around. George and Terry were the best!! They came on time, did the teapot perfectly and were no hassle at all. There was a scratch on the bumper and you can’t even tell it’s there anymore. Definitely recommend them and will use them again if needed! I had George and Terry from Chips Away come and Supa Gard my cars paintwork. Absolutely amazing job done by two professionals. I own a black Ford Kuga and the paint work had a lot of swirling from bad washing practices over the years. They gave my car 2 polishing process's before applying the Supa Gard treatment. What a ... Read more difference. The paintwork looks brand new now. These guys really know there stuff. Mr Happy from Essex. Excellent Smart repair by ChipsAway (George & Terry, Loughton/Enfield). Quick to respond to initial enquiry - good friendly communication. Competitive pricing and accurate estimate with no hidden costs or adjustments to initial estimate. Appointment was reconfirmed the day before, and they turned up on time. Spent a good four hours ... Read more on the car demonstrating that they were not prepared to rush the job. I am a perfectionist and was convinced (from a previous competitor's Smart repair) that I would be able to tell that a repair had been done. Unless you were some kind of Smart repair expert, you would not be able to tell. They even left me some paint that was leftover in case I wanted to use it to touch up any future stone chips. Great work. Well impressed and would definitely use ChipsAway again. What nice lads George and Terry are! They have completed a great job on my Range Rover. 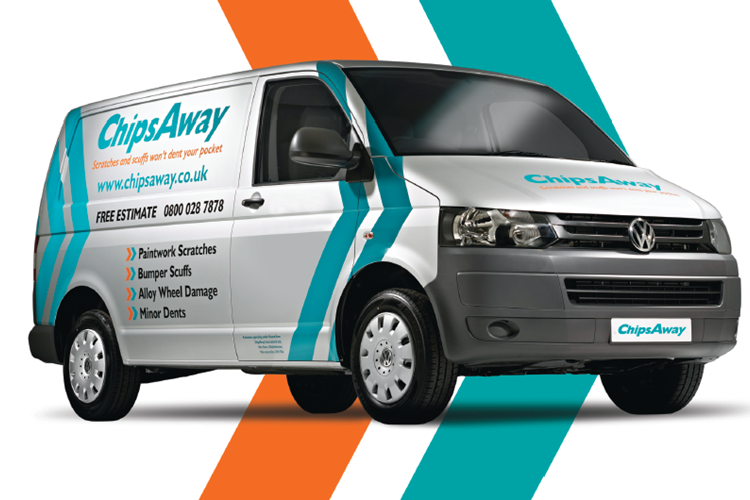 I'd certainly recommend them to anyone who wants the ChipsAway service! Very impressed with the work and good value for money. I would recommend George and Terry. Excellent Service, great job, would recommend with no reservations. Terry & George very professional. An excellent job by George. I would not hesitate to use ChipsAway again and to recommend to others. My car looks great! Great service from George & Terry at ChipsAway Loughton today! The bumper looks brand new again! Excellent job! Highly recommend. Had a great experience with ChipsAway. George and Terry were very clear and helpful with quotes and appointment times. The finish of the job is fantastic. I would highly recommend. Brilliant service from Terry and George today! Would definitely use them again and recommend them to anyone !